With the crowds of thousands that her speeches drew, Emma Goldman established a strong following and historical prestige among anarchists, socialists, and leftists of many tendencies. Her radical thoughts on free speech, imperialism, politics, economics, culture, and many other issues represented a tremendous challenge to the establishment of late 19th and early 20th century America, often leading to her arrest. Goldman was unique as a leftist because she did not only upset conservatives through her progressive views, but many leftists also by critiquing leftist views. Goldman espoused a logically consistent political philosophy that offered her a lens to view the injustices and inequalities of her American time period. 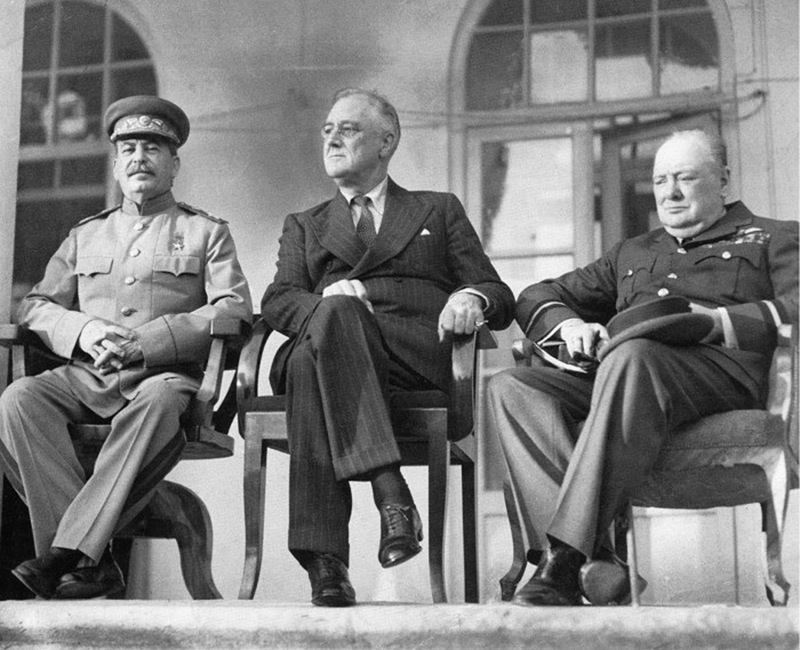 Accordingly, her social theories did not exist in a vacuum independent of historical forces; they were directly connected and influenced by those forces. This essay will thus explain the political philosophy of Goldman but also connect those beliefs with the historical events that influenced them, connections which are vital to understanding Goldman on a complete level. 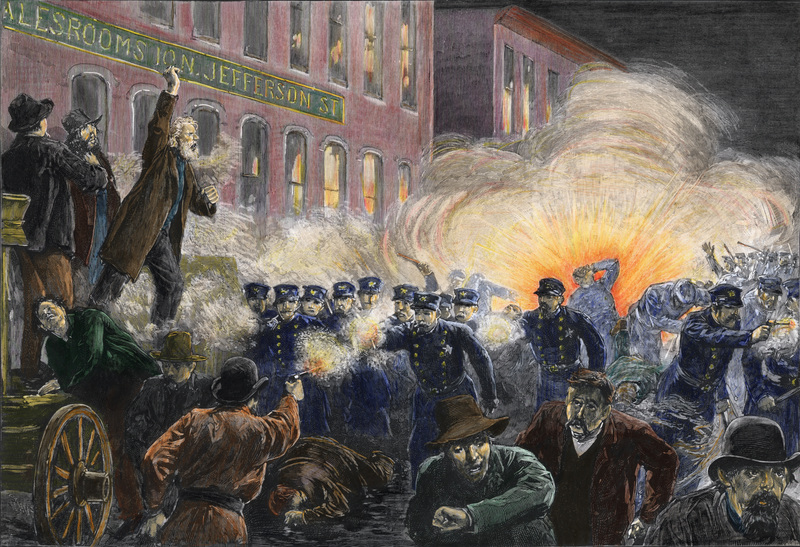 Protesters sought an eight-hour work day in Haymarket. Since anarchism calls for ending hierarchy and replacing it with democracy, it overlaps with socialism in the sense that both systems advocate for the end of capitalism, a hierarchical system of work, and replacing it with socialism where workers democratically own and manage their workplaces. Many socialists however disagree with anarchists regarding the role of the state and believe the state could have beneficial purposes, a belief which Goldman criticized socialists for. While labor leader and socialist Eugene V. Debs was heralded as a champion of the working class, Goldman criticized him for these views and for the fact that Debs was a running candidate for the presidency of the US, a position overseeing a hierarchical government. Despite their honest intents, Goldman believed that such politicians were incapable of providing radical enough change to transform America, and that non-political solutions were instead necessary.1 She was unsatisfied with Debs’ state socialism and desired it to be only a stepping stone to full anarchism, a lack of satisfaction which would also later return in her critiques of Bolshevism. In culture, anarchism has a long history of espousing free love, which is the view that all voluntary romantic and sexual acts are permissible and should not be tied to the illegitimate institution of marriage. Goldman argued for this position with a strong conviction, and her 1914 essay “Marriage and Love” was very radical for its time when Goldman argued that “while it is true that some marriages are based on love, and while it is equally true that in some cases love continues in married life, I maintain that it does so regardless of marriage, and not because of it.”2 In the essay, she views marriage as “primarily an economic arrangement” and that women are relegated to a position of “dependency” and “parasitism” when marrying men, a view that was particularly relevant for her time period when a significant financial inequality existed between men and women. Goldman’s social beliefs on the subject roughly matched her personal life, as she had many different lovers without marrying a single one. Two of her lovers included Alexander Berkman and Ben Reitman, men which were also important figures in the history of the anarchist movement. 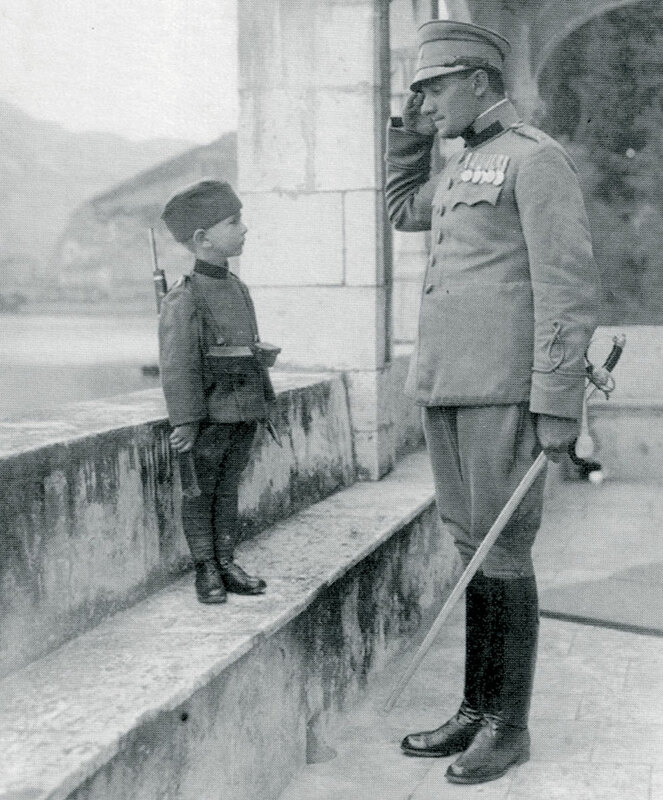 Momčilo Gavrić, a Serbian soldier, joined the Serbian army at the age of 8 and fought in World War I. The fierce debate between anarchists and Marxists concerning the role of the state, a debate which continues today, reached a climax with the Russian Revolution when the Marxist Bolsheviks triumphed. 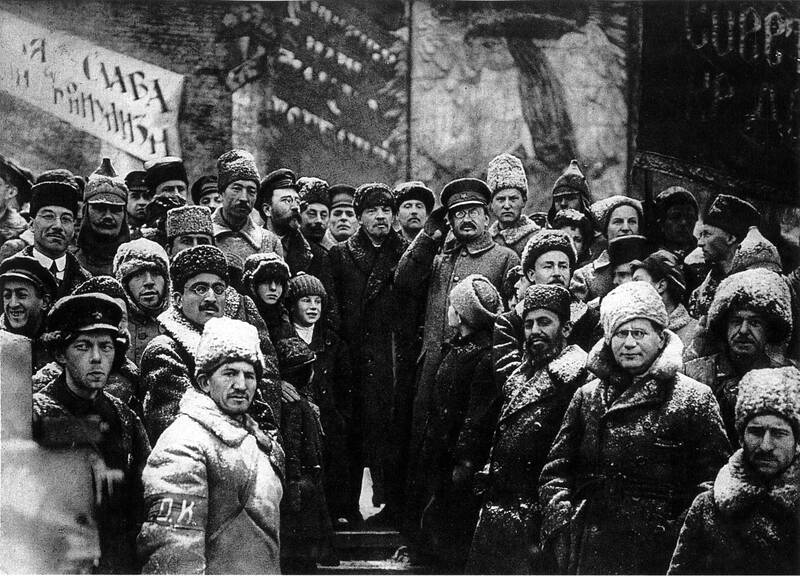 The Russian Revolution became a beacon for leftists worldwide for initially championing socialism and democracy instead of capitalism and oligarchy, which explains Goldman’s initial support of Lenin and the Bolsheviks. When Goldman herself was exiled to Russia, her initial support of the USSR eventually transformed to full blown opposition upon seeing the lifelessness of Petrograd, the country’s view that free speech was a “bourgeois superstition,” and privileges that Communist Party members had over citizens regarding food distribution. Goldman was disappointed when meeting Lenin himself, as Lenin argued to her that “there can be no free speech in a revolutionary period” in defense of his persecution of anarchists.1 Anarchists had a difficult relationship with Bolsheviks, such as with the anarchist Kronstadt rebellion against the USSR which Goldman acted as an official mediator during. Goldman’s view that Kronstadt symbolized everything that went wrong with the Russian Revolution caused her to leave the country in 1921. Goldman eventually returned to the US after a more left-wing climate came about with Roosevelt and the New Deal that was also less persecuting of leftists. She then later moved to Canada to work on raising money in defense of persecuted anarchist Bartolomeo Vanzetti, her final country and place of death in Toronto, 1940. Goldman’s life and anarchist philosophy was thus unique for being simultaneously subversive against both the right-wing establishment which represented exploitation and hierarchy and also against progressive forces for being inadequate like with the Bolsheviks and early feminists. She remains a leftist figure worthy of attention and importance for 21st century socialist movements, both for her critique of the capitalist establishment and her critique of certain leftist solutions which did not bring about sufficient change. Chalberg, John C. Emma Goldman: American Individualist. Pearson, 2008. Print. In recent years, “money in politics” has become an increasingly hot issue in political culture. During the 2016 American presidential election, the corrupting role of lobbying in government became not only an issue on the Democratic side with Bernie Sanders indicting Hillary Clinton of having ties to the financial sector of the economy but on the Republican side also with Donald Trump who claimed to be “self-funded” in comparison with other candidates. Two years earlier in 2014, a Princeton study concluded that the US was not a democracy.1 Progressives are right to expose the role of money in politics as a huge area of concern for any country that claims to be a democracy, but mainstream progressivism has had a significant lack of discussion in more philosophical or scientific terms of exactly why modern democratic republics suffer from lobbying from corporations and other wealthy private interests. With this in mind, Marxist political theory can offer comprehensive answers to the question, and the implication of accepting such comprehensive explanations is that from them can follow equally comprehensive solutions, solutions that are much more radical than anything conventionally prescribed by mainstream progressivism. The following article will explain just that. It is surprising for many to learn that the existence of organized religion, marriage, social classes, and hierarchy in general is a very recent phenomenon relative to the history of humanity. In this list is also included the state – a social construct where some people have greater power than other people, and rule over the population as part of an institution composed of flags, emblems, laws, militaries, kings, queens, emperors, presidents, prime ministers, and so on. In the 19th century, philosopher, social scientist, and seminal figure of Marxism, Friedrich Engels realized and explained this in his treatise The Origin of the Family, Private Property and the State (1884) after being inspired by Lewis H. Morgan, an anthropologist. Prior to these hierarchical social constructs, humanity, for most of its history on the planet, generally lived under a system that Engels called “primitive communism,” a system absent of social classes, slavery, political hierarchies, states, etc. The great and transformative change that ushered in these constructs was the Neolithic Revolution – the transition away from small tribes of primitive communism to agriculture and larger population. Specifically, one group of people claimed personal and private ownership over the agriculture needed to sustain the population, proclaimed themselves to be in power, and hired armed men to guard over this property which marked the first version of the state. In capitalist society, providing it develops under the most favourable conditions, we have a more or less complete democracy in the democratic republic. But this democracy is always hemmed in by the narrow limits set by capitalist exploitation, and consequently always remains, in effect, a democracy for the minority, only for the propertied classes, only for the rich. Freedom in capitalist society always remains about the same as it was in the ancient Greek republics: freedom for the slave-owners. Owing to the conditions of capitalist exploitation, the modern wage slaves are so crushed by want and poverty that “they cannot be bothered with democracy”, “cannot be bothered with politics”; in the ordinary, peaceful course of events, the majority of the population is debarred from participation in public and political life. Another reason why the omnipotence of “wealth” is more certain in a democratic republic is that it does not depend on defects in the political machinery or on the faulty political shell of capitalism. A democratic republic is the best possible political shell for capitalism, and, therefore, once capital has gained possession of this very best shell (through the Palchinskys, Chernovs, Tseretelis and Co.), it establishes its power so securely, so firmly, that no change of persons, institutions or parties in the bourgeois-democratic republic can shake it. Since Lenin made this argument almost exactly 100 years ago, it seems as if there might be concerns of its relevance. However the only premise that this and a contemporary Marxist framework works under is that there need only be private ownership of the means of production to automatically lead to lobbying and corruption of officials, a system of ownership which remains today. This capitalist system of ownership intrinsically leads to significant inequality of wealth and allows the wealthy to steer a republic’s policies to their interests. The viral 2014 Princeton study, which does not even work from this framework, had one of its authors conclude that “ordinary citizens have virtually no influence over what their government does in the United States,” and that “government policy-making over the last few decades reflects the preferences of […] economic elites and of organized interests.”2 The study worked by examining the political desires of people of various income levels and correlating them with what happened with actual policy. The result was that the changes that the majority population desired did not happen, and instead the policy was in effect aligned with the wishes of a very small and financially well-off elite. Some of these desires that the majority had were financial reform, higher minimum wage, more education spending, and more support for the unemployed. Since the Marxist premise is that the root of the issue is the socio-economic system in place, specifically the pattern of ownership of workplaces that intrinsically leads to inequality of wealth and the corruption of the political system, then a handful of proposed and popular solutions today will not work or be sufficient if we accept this premise. The first for example is voting in capitalists like Trump into political office under the meaningless view that they are “self-funded.” Trump is not only a large owner of capitalist arrangement of workplaces but cannot stop the rising inequality of wealth or money in politics as the issue is connected to the greater economic system. Bernie Sanders, while not being a capitalist like Trump and admirably pursuing policy changes like the overturning of Citizens United (a court ruling which deregulated lobbying) is again only one individual and does not support the elimination of private ownership of the means of production in the US economy nor could he accomplish this by himself. Generally, since there is no foreseeable path for a president to change the structure of property ownership in the economy, it is highly unlikely that presidential politics will lead to a solution to the problem of the kind described in this article. The most truly sweeping, radical, and permanent solution to eliminate the power of financial elites in lobbying a state and to create genuine democracy that represents the majority population must involve a change in the ownership and management of the means of production. If the majority working class is in possession of the means of production, then the state as the organ of class rule becomes the organ of the working class, and consequently the state acts democratically and accordingly with the population. This article does not profess to have a specific list of steps that will lead to this politico-economic change. There would be great futility in immediately attempting to draw up such a list since we cannot have a cure if we as a people do not even agree on the diagnosis. Accordingly, the first and most important task then is to come to the consensus that the diagnosis for the present problems is capitalism, a system that is preventing us from having the democracy that we have been yearning for.